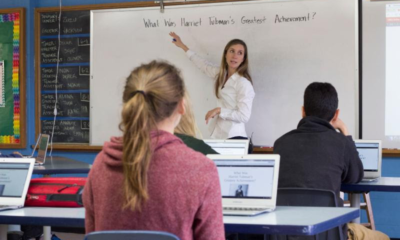 The DBQ Online platform includes a feature that allows teachers to view and provide feedback on student work. Teachers can write comments for students on a sticky note like this! How does it really work? 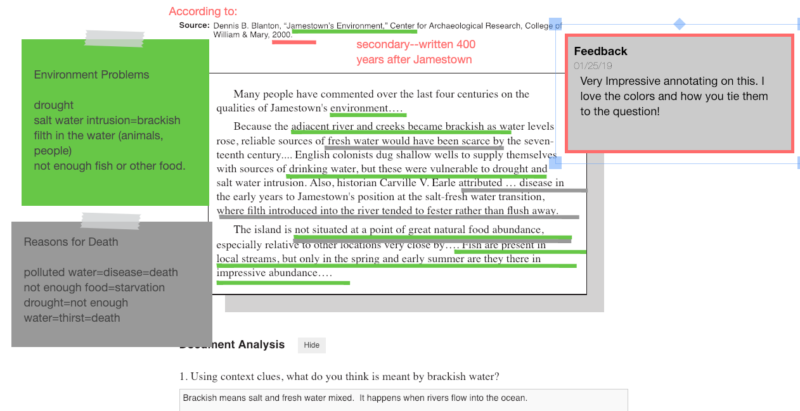 Let’s say you are teaching “Why Did So Many Colonists in Jamestown Die?” Students are annotating Document A and a boy comes up with a really great idea. He is using the gray underline to mark things in the document that reference death, and green to reference things that refer to the environment. The teacher can go to his dashboard, click on “manage” next to the Jamestown lesson and then click on the student’s name. Boom! The student’s work is on the big screen. Everyone can see the great idea and talk about whether there are other things that might be marked gray or green. The student can lead that discussion and continue to mark up the document instead of the teacher doing it. 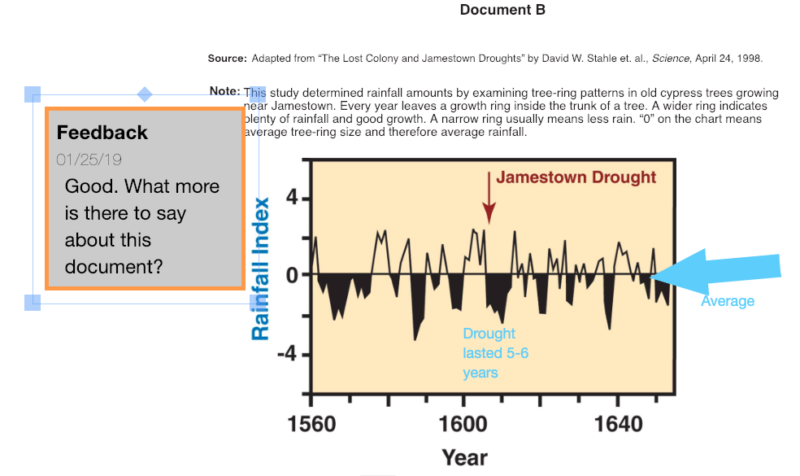 How did the environmental conditions cause death in Jamestown? Now, everyone can see the quotes and references and use them to build an answer.